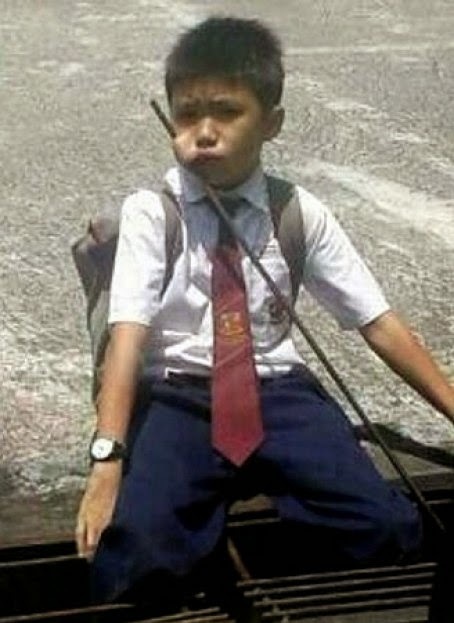 A Year Four pupil playing with his friends in his school compound ended with a metal rod piercing his right cheek. The culprit was a loose steel rod that was originally welded to the drain grating. As the boys were running all over the place, one of them stepped on the rod, which caused it to be jacked upwards. Apparently, the boy, 10, was unable to stop in time, and ran into the metre-long rod with a diameter of about 1.5cm. A parent who was at the school sent the victim to hospital after Fire and Rescue Department personnel arrived to saw off one end of the rod still attached to the grate. Kota Kinabalu district police chief Assist Comm Jauteh Dikun said the incident happened at about 12.50pm yesterday and a report had been lodged. The boy was admitted to the Likas Women and Children’s Hospital, where an operation was later carried out to remove the rod. His condition is not serious, and he is warded overnight for observation.